For special requirements, special fields of application or extreme conditions please contact our product development team to find the ideal solution for your ideas. We are looking forward to hear from you. Multi-CPU systems from Intel for high-performance computing (HPC) with two, four or more multi-core processors. Rugged, transportable workstations for mobile applications, e.g. 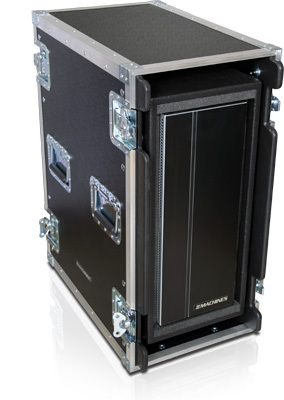 as a mobile video editing suite, for mobile audio production or as a measurement system. Playback/control-systems for a variety of presentation systems such as LED walls. Many IT infrastructures work with a centralized file server or strorage solution. In network-based workflows the local workstation offers the needed CPU- and graphics performance wheras the actual data (footage, simulation data, video content, audio libraries etc.) is hosted on the network storage. High performance of storage, data redundancy, network connection speeds (GBit, trunking, 10GBase, Fiberchannel, Infiniband...) and security are central requirements as well as large capacities. 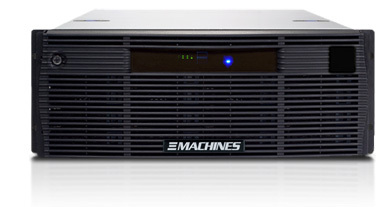 XI-MACHINES Storage-Server can be equipped with 1 up to 4 Multi-Core CPUs. The centralized file storage is based on high-performance RAID arrays in redundant RAID 5 or RAID Mode Mode 6. Depending on the required storage space our storage servers are equipped with 8 to 50 hard disk drives or SSDs. 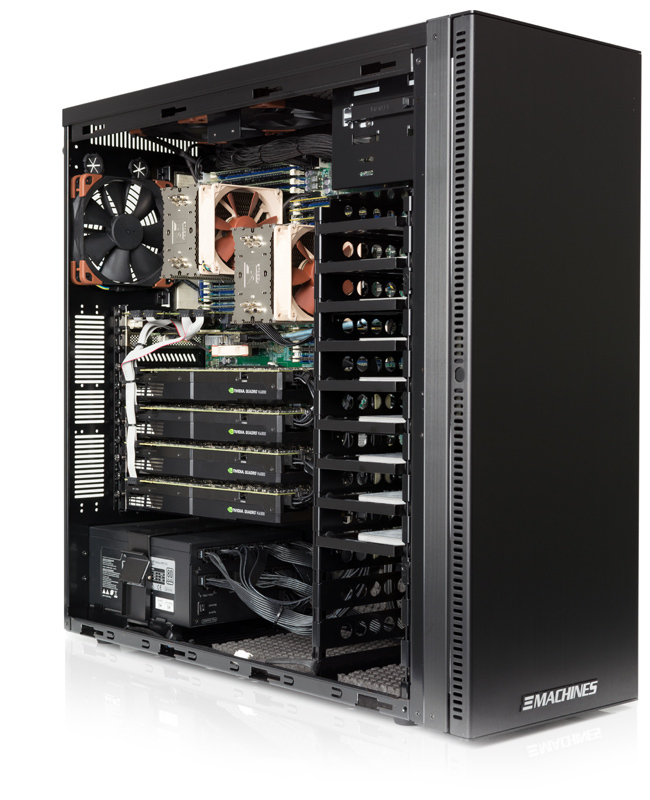 XI-MACHINES Storage-Server are built in space-saving 19-inch form factor. Depending on the desired features and expandability the servers come with a height of 1U to 9U. Redundant power supplies ensure a fail-safe, continuous operation. Available for all 19-inch or tower workstations, as well as for other equipment such as monitors, accessories, etc. Optional ABS system - internal vibration-resistant metal spring suspension or anti-vibration rubber elements.